Màiri Anna NicUalraig agus Seàn O hEanaigh le ceòl à Alba 's Èirinn bho leithid Trail West agus Louise Mulcahy. Featuring Trail West, Louise Mulcahy, Calum Ross and Skipinnish. Màiri Anna NicUalraig agus Seàn O hEanaigh le ceòl à Alba 's Èirinn. Anns a' phrògram-sa, cluinnear Trail West, Louise Mulcahy, Calum Ros agus Skipinnish. 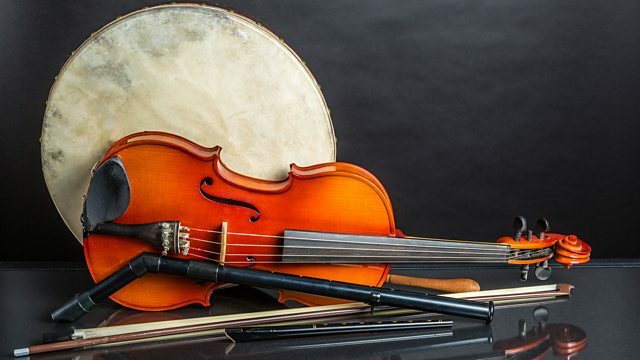 Mary Ann Kennedy and Seàn O hEanaigh present Scottish and Irish music. In this episode you will hear Trail West, Louise Mulcahy, Calum Ross and Skipinnish. TRADITIONAL MUSIC ON FIDDLE, BANJO & HARP.